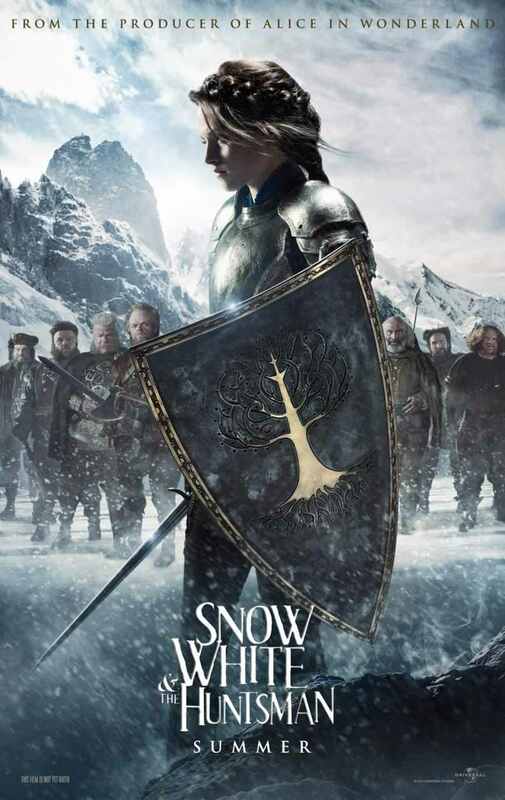 I am trying to remember how I looked at Snow-White and the Seven Dwarfs (or Schneewittchen und die sieben Zwerge, as I came to know of it as a kid) before the most recent interpretations that have popped up on tv and the movies – and I can’t. 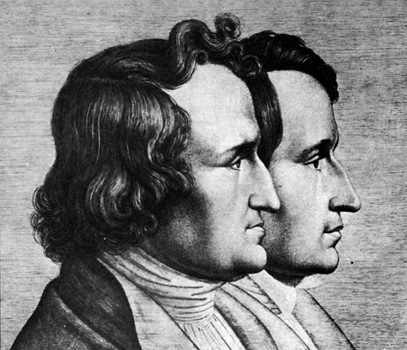 The brothers Grimm are an important part of German culture and as I grew up in it, I was always aware of them but I can’t even remember if one of my parents read the fairy tales to me and somehow I don’t think so. Maybe someone did it in kindergarten, I’m not sure, but I always seemed to have known them (or some of them). And I’ve always seemd to have known about Snow-White, and in retrospect it actually seems one of the most important of all the Grimms’s fairy tales. It certainly is one I remember well. And I’m not talking about Disney’s interpretation, either, because I’m pretty aure I never watched the movie. And it confused the hell out of me when I heard people mention that the dwarfs had names and the prince kissed Snow-White awake because that’s simply NOT what happens in the original text. If you think about the things that Disney kept in the story, and the things that they changed, you certainly detect an agenda (one that keeps vanity in women very much alive and adds heterosexuality/true love to it) but that’s not what I want to discuss here. I want to talk about the relationship that makes this story relevant, the one that gives it meaning, a purpose: the one between Snow-White and the Queen, between a little girl and her stepmother, the one between two women destined to be adversaries, and between innocence and witchcraft. 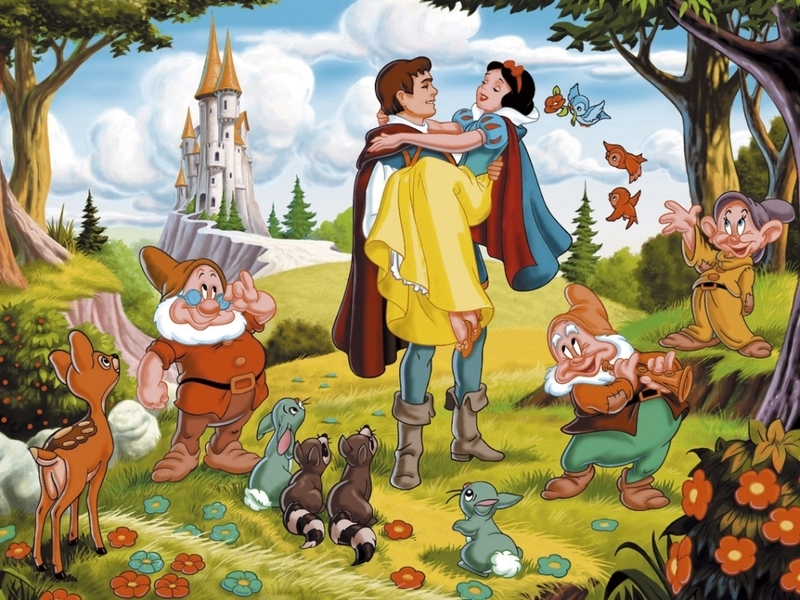 While this post is merely an introduction to this topic, I want to look more closely at the following texts: the Disney movie Snow White and the Seven Dwarfs (1937)(as it is an important part of American culture, probably more so than the original fairy tale), Mirror Mirror (2012) and Snow White and the Huntsman (2012) which came out the same year (one as comedy, one as drama), and Once Upon a Time (2011), a tv show that has discussed the relationship between Snow White and the Queen (Regina Mills) for almost three years now, most elaborately (adding layers to both the story and the characters). Additional texts will be the original fairy tale in an English translation, Emma Donoghue’s interpretation of the story in Kissing the Witch and Snow White: A Tale of Terror, probably my favorite interpretation of the text as it is a horror movie. You may wonder at my fascination with this relationship, I have thought about this, too. But it is not only ‘my’ fascination, obviously, since Hollywood can’t seem to get enough of it either. The brothers Grimm have left us with a mere skeleton of a story: this happens, then this, and in the end this. They did not draw characters, putting up mere stereotypes to drive their lectures home. You are never told what happened to Snow-White’s father, he’s never mentioned beyond the fact that he marries a second time, you don’t know how Snow-White got along with the new mother before that woman’s envy of the girl’s beauty drove her to desperate measures (and let me remind you that Snow-White was seven at the time she exceeded her stepmother’s beauty). We don’t know how long she’s been living with the dwarfs or how long she lay dead in the glass coffin before the prince found her. These holes in the narrative can, have been and will be filled with new interpretations for a long time to come. And to build a whole tv show around this tale… yes, I am fascinated by ABC’s Once Upon a Time, I’m also frustrated with it and the way it handles some of its narratives. But at the center, there’s Snow White’s (Ginnifer Goodwin) tale, her relationship with Regina (Lana Parrilla), her stepmother, who wasn’t always evil, whom circumstances changed… and I’m going to talk about it at length. You may have noticed that I sometimes write Snow-White and sometimes Snow White. Recent interpretations seem to have adopted the latter version but the translation of the fairy tale uses the first one. I will probably do the same, using the hyphoned version for the original text. It does make sense since to me she had been Schneewittchen before she became Snow-White. Some of you may also know that there is a second Snow-White in Grimms’s tales but I will not concern myself with her as in the German version she is actually called Schneeweißchen and is not the same character. I think this is all I wanted to say in this introduction. I hope I will be able to shed some light on this relationship, or at least discuss it knowledgable. I feel like I should begin with the Disney film but I still haven’t watched it… we’ll see.